The theme for this year’s Dementia Awareness Month touches on the important topic of loneliness: “You are not Alone” aims to raise awareness of the supports and services available to people living with dementia and their carers. Approximately 1.2 million Australians are involved in the care of a person with dementia. 6 in 10 Australians admit they know very little about dementia. 25% of Australians find people with dementia frightening. The Dementia and Loneliness Report from Alzheimer’s Australia found that people with dementia are almost twice as likely to have high rates of loneliness compared to the general public. To help break down the stigma associated with the condition, Australians are encouraged to find out more about dementia during Dementia Awareness Month. Alzheimer’s Australia NSW conducts research on a range of dementia-related issues, the most recent being a discussion paper called Living Well with Dementia. The research seeks to reframe the conversation around dementia to be more positive and empowering. Want to find out more? SNPHN has compiled some key resources for people with dementia, their carers, and health professionals. You can also call the National Dementia Helpline, an information and support service, on 1800 100 500. CLICK HERE for more information on Dementia Awareness Month and what work SNPHN is doing in this space. The University of Sydney, Flinders University, Kolling Institute and NSLHD take great pleasure in inviting you to the Care and Support Directed by the Consumer Forum taking place on Wednesday, 12 October 2016 at the Northside Conference Centre, Sydney. The Forum is for consumers and health professionals who are committed to improving care and support services in the community and making them more ‘client centred’. It will explore the introduction of Consumer Directed Care and the National Disability Insurance Scheme with a view to developing strategies to inform their implementation. It will be bringing together key stakeholders including; consumers, service providers, researchers, policy and program makers. Enquiries: If you have any questions about the conference, please contact Dr Liz Gill at the John Walsh Centre for Rehabilitation Research in the Kolling Institute by phone 9926 4967, or by email liz.gill@sydney.edu.au. CLICK HERE for the registration form. Go4Fun is an evidence-based children’s overweight and obesity treatment program provided by NSW Health, which shows clinically significant health benefits and improved self-esteem in children above a healthy weight. The 10-week program involves both children aged 7-13 years and their parents, focuses on developing healthy eating habits, building self-confidence and getting children more active. Sessions run after school and include informative games, fun and active exercise activities, tips on healthy food and portion sizes, label reading, a supermarket tour and more. 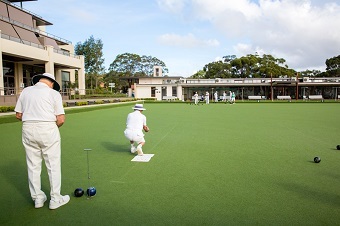 Since 2011, over 650 Go4Fun programs have been delivered throughout NSW, engaging more than 6250 families! Enrolments are now open for the Term 4 2016 Go4Fun programs, which will commence in early October. CLICK HERE for more information or contact the Go4Fun Coordinator on 9462 9568. 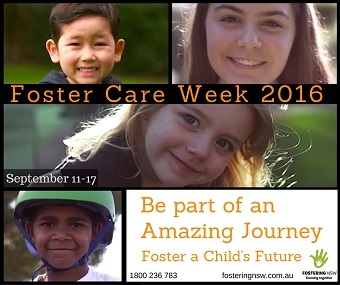 Coordinated by the Association of Children’s Welfare Agencies (ACWA), this year’s Foster Care Week recognised that foster carers are an integral part of a team working to achieve stability and permanency in the lives of vulnerable children and young people. There are just under 20,000 children and young people unable to live at home in NSW – there is always a strong demand for carers and an especially huge need for Indigenous carers. In fact, NSW needs to attract 660 new carers in the next year across emergency, respite and short term care. CLICK HERE to learn more about Foster Care Week. CLICK HERE to learn more about becoming a foster carer in NSW. Have you wondered how to stay healthy as we get older? What should we be eating? How much exercise and what type? How do we care for our brain health? Come and learn from experts so that you can make wise lifestyle changes to live healthily. Join University of Sydney experts including Associate Professor Lee-Fay Low, Professor Maria Fiatarone Singh, Professor Vicki Flood and Professor Lindy Clemson during Education and Research Innovation week to learn what you can do to flourish and thrive. One hour of talks will be followed by the opportunity to take part in hands on learning in activity stations in the Eastern Avenue Foyer. Afternoon tea will be served which will demonstrate a healthy Mediterranean diet. Enquiries and registration: Please email subhechya.adhikari@sydney.edu.au.